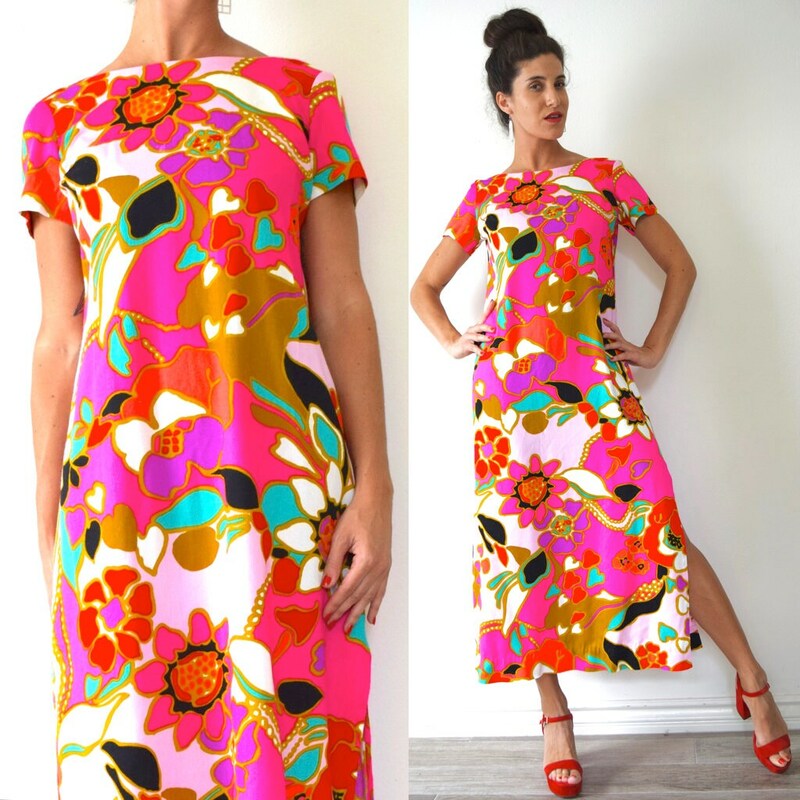 Vibrant psychedelic print dress with slits on either side. Metal zipper up the back. Incredible, incredible dress! 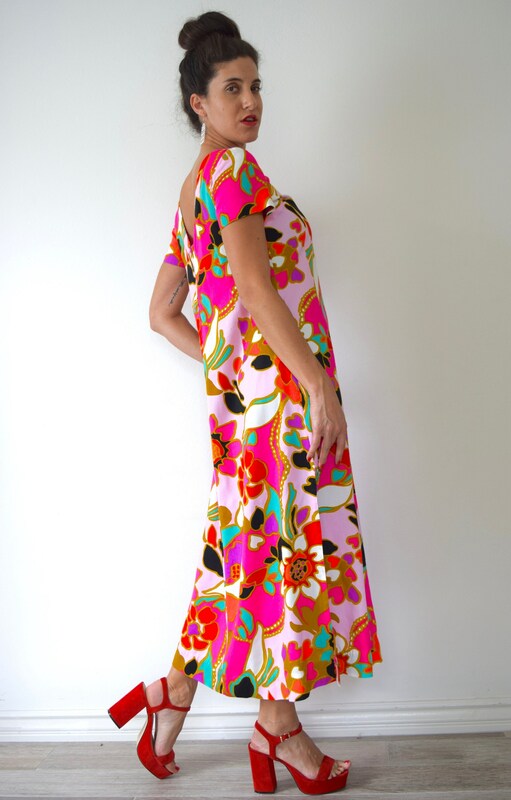 The colors are SO vibrant and the dress is soft and flowy. Truly one of a kind. 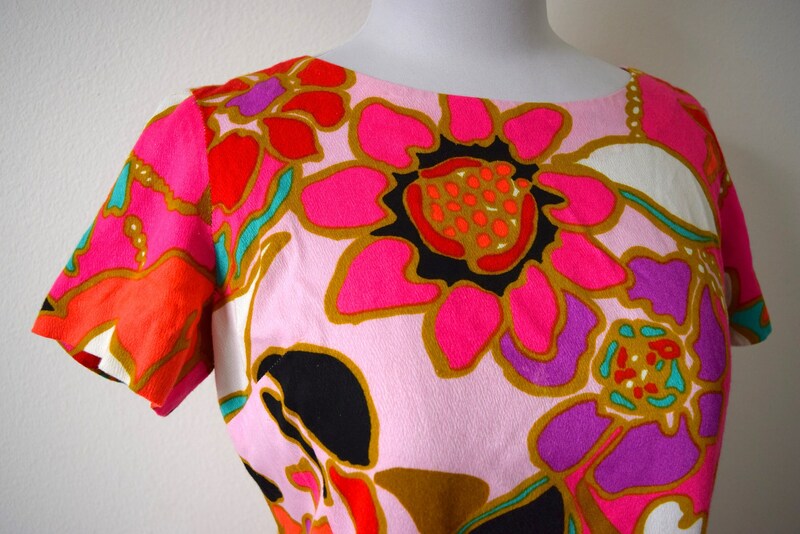 I am wearing it to a Hawaii wedding in March.